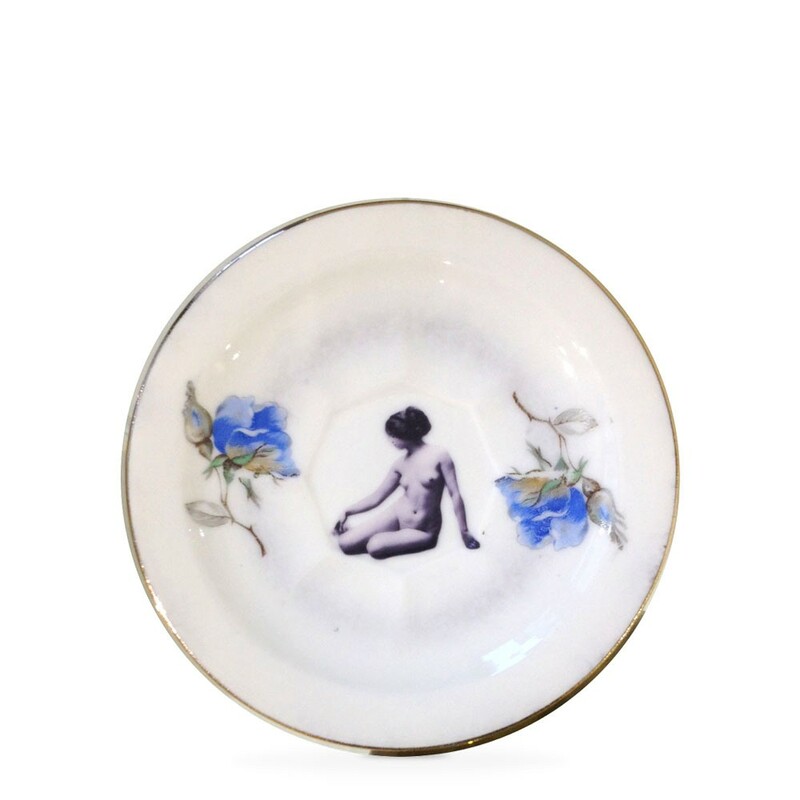 Washing by hand is recommended to prevent original gold trim fading over time. Note this is a vintage piece and may show signs of some previous use. 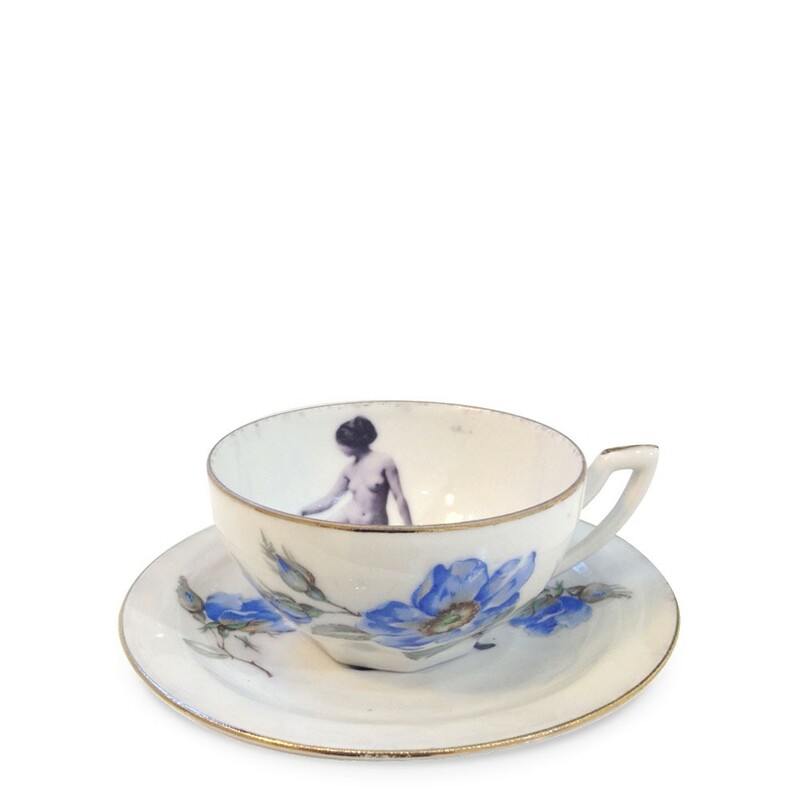 Set the scene at your table using this beautiful and quirky upcycled vintage bone china teacup and saucer with the 'Girl in a Cup' design. 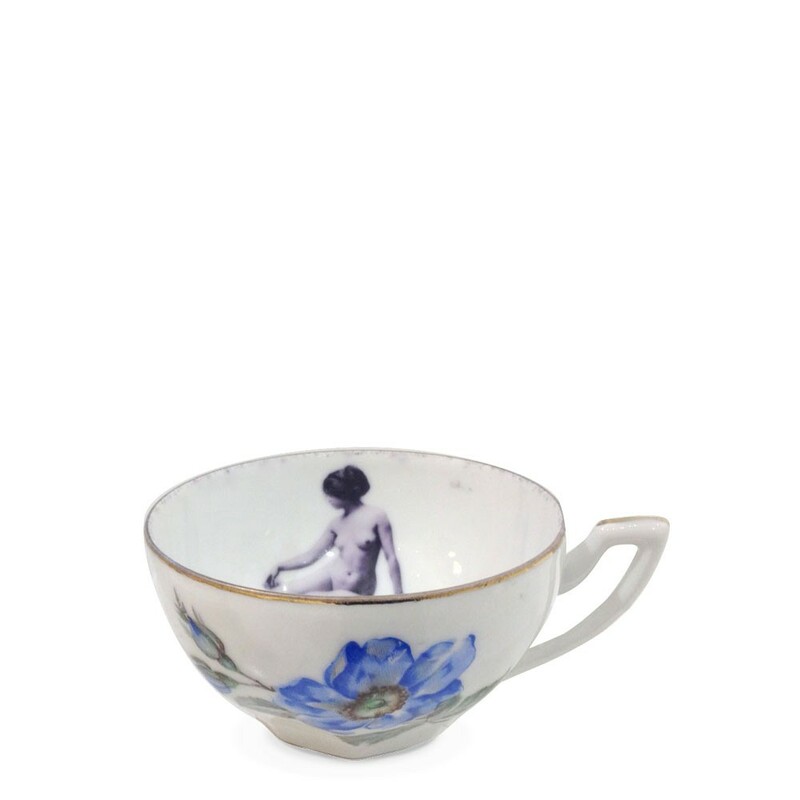 The 'Girl in a Cup' design teacup and saucer is part of the Melody Rose Modern SurRealist collection, inspired by a love of surrealism, infused with a modern twist.Gorgeous displayed, but also entirely functional and can be used every day. Melody Rose pieces can be bought individually, as sets, or mixed and matched and make wonderful gifts.